Moving countries can be difficult but this book might make it easier. You can have a real cultural shock when arriving in France, especially if you move into a rural village of 120 inhabitants like the author Stanley George. Mr George looks back on his own experience of moving to France with his wife and their dogs 13 years ago. Although some things have changed in that time, he explains some crucial differences between French and English culture. 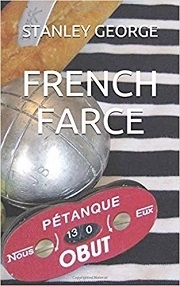 There is a special chapter about swearing in French and also sections about la pétanque and grape picking. Although he makes fun of French people and their lifestyle, there are some truths here that can only make you laugh – everybody can easily relate to the writer’s story.